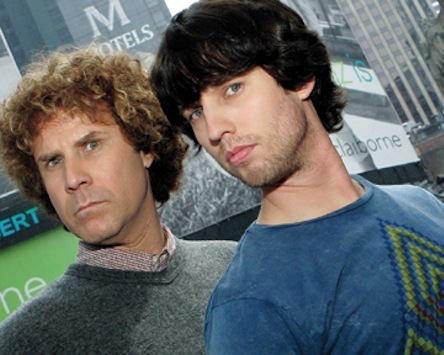 Comedy Central has signed Jon Heder (Napoleon Dynamite) to star in a new 10-episode sitcom from a production company headed by Will Ferrell. The network says Heder will play an unemployed computer specialist who moves back to his small-town birthplace to live with his parents. It's still untitled, with Ferrell co-producing and writing the series with Gary Sanchez Productions mates Adam McKay and Chris Henchy. Ferrell and Heder co-starred in 2007's Blades of Glory. ***National Nielsen ratings are in for Tuesday afternoon's coverage of the Michael Jackson memorial service at L.A.'s Staples Center. Nielsen says that 31.1 million watched on 19 networks. That's a smaller haul than the 35 million who watched Ronald Reagan's burial in prime-time on eight networks or the 33.3 million viewers for Princess Diana's early Saturday morning funeral, also on eight networks. The audience for Jackson's funeral does not include Web site viewership, which wasn't a factor in 2004 for Reagan or in 1997 for Princess Diana. But Nielsen says that Jackson's death and related coverage had "the most online buzz in Internet history, capturing nearly 8 percent of all conversations." Talk amongst yourselves. ***Cable networks are still playing the acquisitions game when it comes to landing rights to broadcast comedies. In that vein, Lifetime announces it has bought off-network rights to the 88 existing episodes of CBS' The New Old Adventures of Old Christine. It also has dibs on future episodes. Meanwhile, Comedy Central has the cable rights to NBC's first five seasons of 30 Rock, which it will begin reprising in fall 2011.